The first thing that you should do is to check the extent of the damage. If it is a shallow scratch, then the problem might be manageable. See if the clear coat is the only layer to be affected. If the colour coat is undisturbed, then the fix should be easy. Just get some buffer pads, water, spray bottle, soap, sand paper, rags, rubbing compound, car wax, and matching custom paint. You will need to wash, sand, apply rubbing compound, polish, and wax the affected area. Detailed descriptions of the process can be found online. If you do it right, then the scratch should be gone in no time at all. It will be trickier if the damage goes deep. Let’s say that a vandal used a sharp object to put a scratch on your car. The paint layer might be peeled, allowing you to see the bare metal. The process will be similar but with additional steps and materials. It also takes greater skill since you can make it worse if you are not careful. It is vital for you to get the exact paint colour as a mismatch will be clearly visible. Look for the factory paint code for a perfect match. Take the time to do the touch-up and be patient when letting the paint cure. A lot of things can go wrong if this is performed by an amateur. The damaged area could get bigger if the process is not done correctly. Even a little mistake could be easy to spot since the rest of the car looks smooth and flawless. 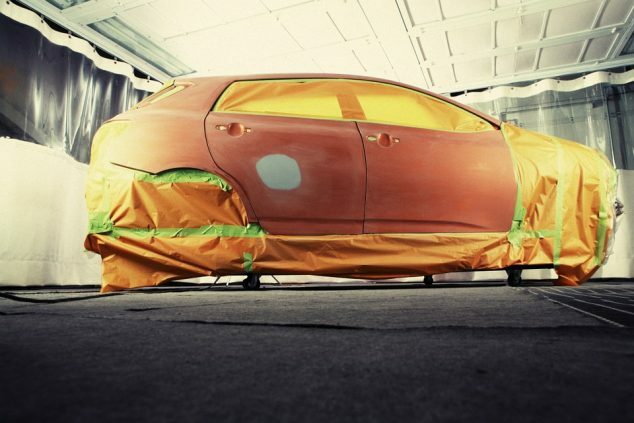 Those who are not confident in their DIY skills or are simply not keen on leaving things to chance should take their vehicle to the professionals. The shops have highly experienced personnel who can perform the car scratch repairs swiftly with excellent results. Once they are done, it will be as if the damage never happened.